The tournament, which ends on Sunday, May 11, will see competition in the menâs open singles, menâs doubles, females senior singles and the junior boys and girls (Under -17), who will enter free of cost. The top three places in the senior categories will receive trophies and cash prizes. Among those to be on show are Joseph Carrington, Robert Ballantyne, Carlton Daniel, Kavier Gaymes, Damion Dublin and Natasha Shortte in the senior division. Youngsters sourced from the St Vincent and the Grenadines Table Tennis Associationâs talent identification efforts will also be out to contest on the green table. The likes of Kadeem De Shong, Cruz Hablich, Aliyah John, Cortney Bacchus and others are slated to test their skills. Play commences with matches in the senior divisions at 5:30 p.m. on weekdays and 4:30 p.m. on Saturday, with play beginning in matches in the Junior Division from 9 a.m. on Saturday. The tournament will have as directors Tyrone Jack, Giles Garraway and Andrew Lockhart. 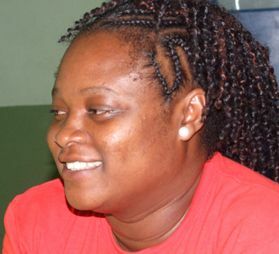 Warren, a former national player, was the holder of several female singles titles, as well as the subregional OECS level, where she champed at the singles, doubles, and mixed doubles.